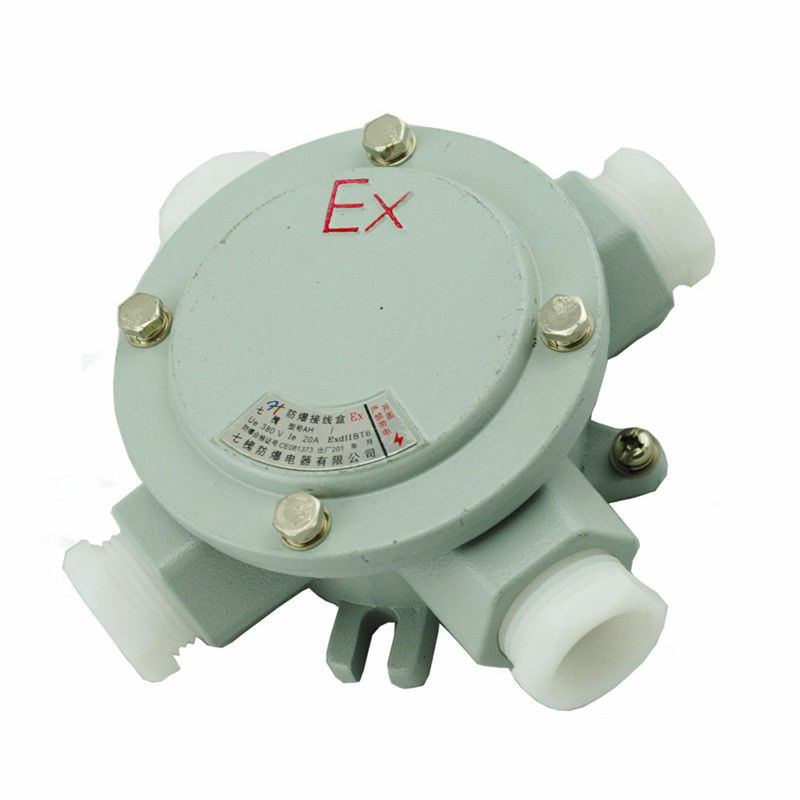 In order to protect signal and power distribution networks from harsh environmental conditions and explosion hazards, various types of flameproof terminal boxes and junction boxes are available. Several enclosure variants and material options as well as customized configuration with terminal and cable gland types allow adaption to any application requirements. When installing, open the junction box cover and the introduction device, select the appropriate inner diameter of the sealing ring according to the outer diameter of the cable, and then pass the cable through the compression nut of the introduction device, the gasket and the sealing ring are connected to the cavity, and fasten. The compression nut seals the cable, the introduction device that does not introduce the cable replaces the cable with a plug, and tightens the compression nut. Connect the wire to the corresponding position of the terminal block, connect the grounding wire, close the cover, and fasten the cover with bolt.